(1:09 p.m. EDT) -- Carnival Corporation & plc today revealed that its new Chinese cruise brand CSSC Carnival Cruise Shipping Limited -- developed through its partnership with China State Shipbuilding Corporation (CSSC) -- will launch this week, with a goal of operating cruises by late 2019 to serve the booming Asian cruise market. To build the CSSC Carnival Cruise Shipping Limited fleet, Carnival will deploy two vessels from its Costa Cruises brand. Carnival oversees Costa, Princess Cruises, P&O Cruises, Holland America Line and several other brands. The 2,210-passenger Costa Atlantica will be transferred to the new line in late 2019, while its 2,114-passenger sister ship Costa Mediterranea will follow at a date to be determined. CSSC Carnival Cruise Shipping Limited also formally signed a contract to order two new cruise vessels that will be built at the Shanghai Waigaoqiao shipyard, as previously reported by Cruise Critic; the agreement includes the option to order four additional ships. The first of the new ships is expected to be delivered in 2023. All four ships will be based in China. "The official launch of our joint cruise venture in China is a significant milestone in the strategic development of a strong and sustainable cruise industry in China," said Arnold Donald, CEO of Carnival Corporation. 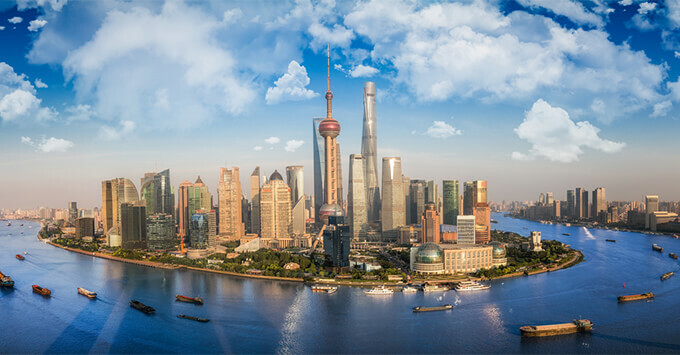 "Together with our partners, we are excited about our ability to launch a new cruise line in China based on existing ships and new China-built ships tailored for Chinese travelers." Michael Thamm, CEO of Costa and Carnival Asia, added: "We look forward to working with CSSC to further increase demand for cruising by generating broad awareness of why going on a cruise is an extraordinary holiday and exceptional value for money." As previously revealed, Costa will introduce two new ships specifically designed for the Asian cruise market -- Costa Venezia in spring 2019 and a sister ship that will launch in 2020.